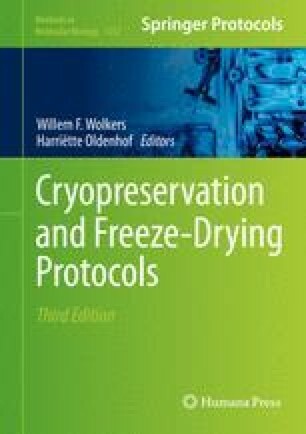 Cryopreservation is a valuable technique for aquaculture as it enables a library or bank of genetically valuable animals to be maintained in a cost-effective manner. Here, we describe a method to cryopreserve the sperm of the Greenshell™ mussel (Perna canaliculus) and how to use the sperm post-thawing to maximize larval production from thawed sperm in selective breeding. This research was funded by the New Zealand Ministry of Business, Innovation, and Employment (CAWX0802 and CAWX1315). We thank SPATnz and Kono for supplying mussels and technical assistance and also thank the staff of Cawthron Aquaculture Park (in particular Jonathan Morrish and Ellie Watts) for technical assistance. Environment Agency UK (2007) The direct toxicity assessment of aqueous environmental samples using the oyster (Crassostrea gigas) embryo-larval development test: methods for the examination of waters and associated materials, Environment Agency UK, Bristol, UK. http://www.environment-agency.gov.uk/static/documents/Research/oyster209jan30_1388168.pdf. Accessed 26 Feb 2014. Environment Canada (2011) Biological test method: fertilization assay using echinoids (Sea Urchins and Sand Dollars) EPS 1/RM/27, 2nd ed, Ottawa, Canada. http://www.ec.gc.ca/Publications/047B08AB-530E-49EA-8EC8-8AB8E8D75DA4/1_BiologicalTestMethodFertilizationAsayUsingEchinoidsSeaUrchinsSandDollars2ndEdition.pdf. Accessed 26 Feb 2014. Aquaculture New Zealand (2012) New Zealand aquaculture: a sector overview with key facts, statistics and trends. http://aquaculture.org.nz/wp-content/uploads/2012/05/NZ-Aquaculture-Facts-2012.pdf. Accessed 13 Dec 2013.